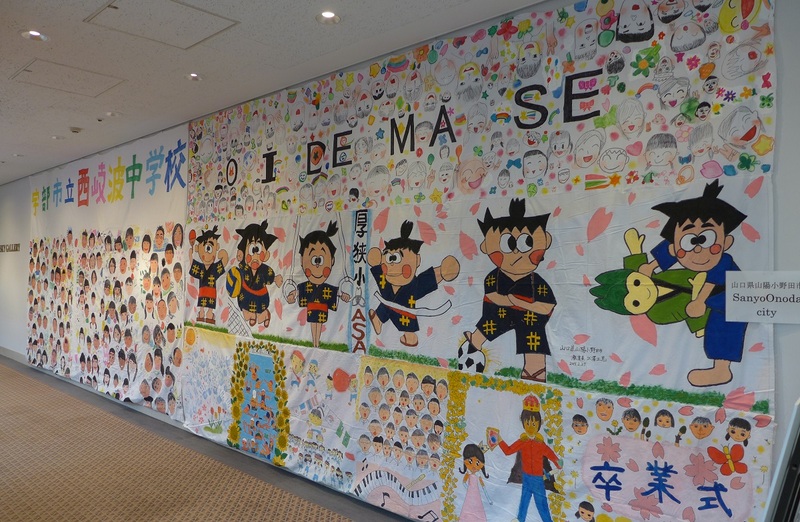 Visited the Board of Education of Hagi City, Yamaguchi Prefecture, to receive the Biggest Painting in the World 2020 in Hagi City. 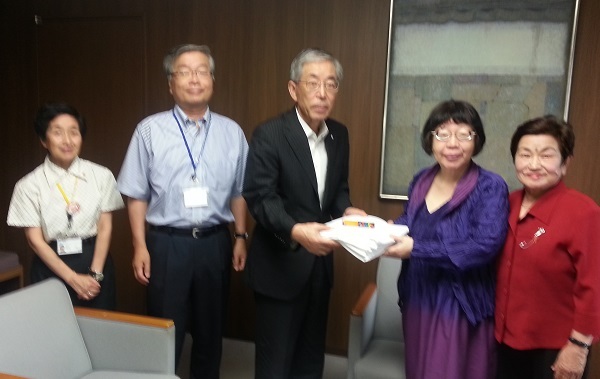 Our hearty thanks to Mr. and Mrs. Minoru Ishimaru, and Mr. Atsushi Honda, our representative in Yamaguchi Pref. Who accompanied us n this day. 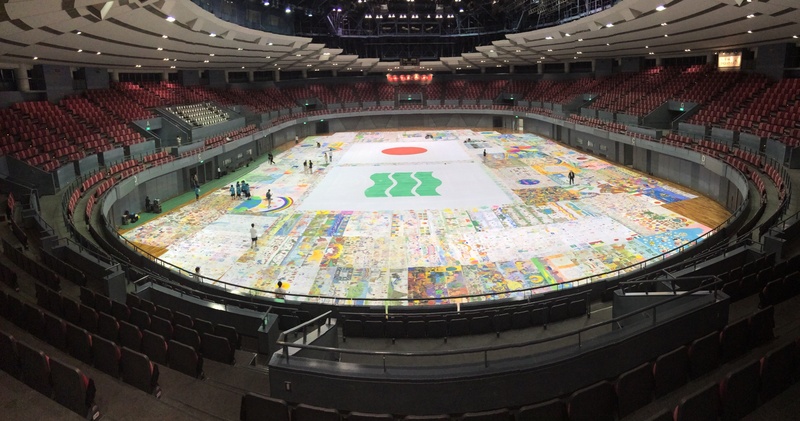 approve of the Biggest Painting in the World and handed cloth to them. 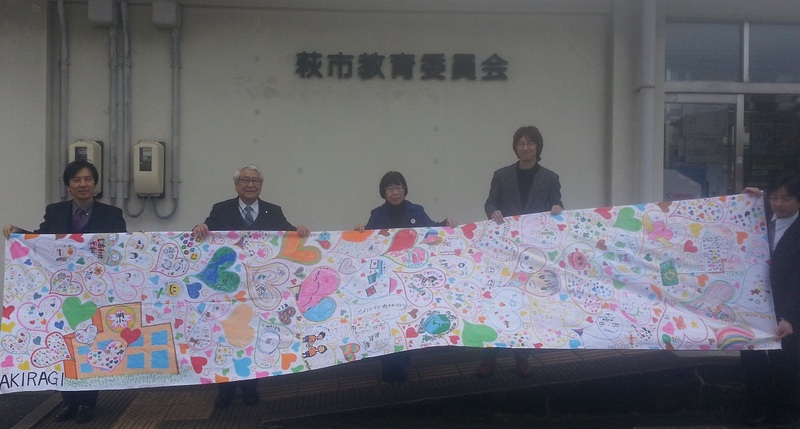 Mr. and Mrs. Minoru Ishimaru, a representative of the Biggest Painting in the World 2020 and his mother, Mrs.Ishimaru, a Hofu City councilor guided me to a city hall of Hagi City, Yamaguchi for a courtesy visit. They approve of the Biggest Painting in the World and handed cloth to them.